. -The Thin Red Line represents the last ounce of courage firefighters find deep in their blood to conquer their darkest fears in order to save and protect life and property. Thin Red Line supports our men and women firefighters all around the world working to help serve our nation by having the courage to run into a burning building while everyone is running out. -Official Patriot Apparel Co. 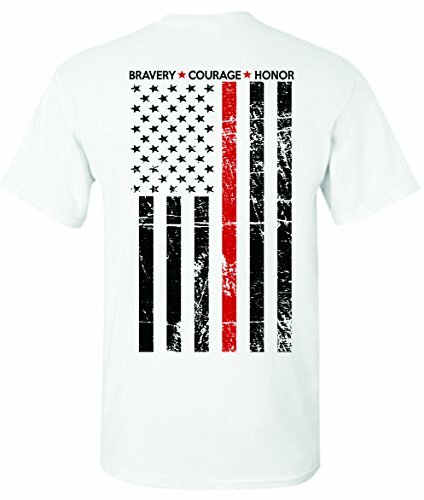 Thin Red Line T-shirt. -Designed and printed in the U.S.A. If you have any questions about this product by Patriot Apparel, contact us by completing and submitting the form below. If you are looking for a specif part number, please include it with your message.